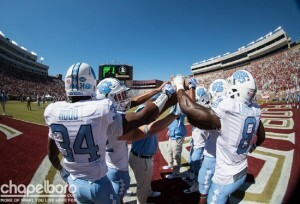 Today’s edition of “Inside Carolina” discusses some of the biggest surprises from the Tar Heels’ Spring Game. There were some standout players and some interesting takeaways, but how is it all going to come together under Mack Brown’s leadership once the season proper gets going? NextDakota’s Notebook: Who Starts At QB For UNC Football?